A formerly monthly podcast devoted mostly to speculative fiction books, reviews and the odd bit of idle gossip. Hosted by Kirstyn McDermott and Ian Mond. 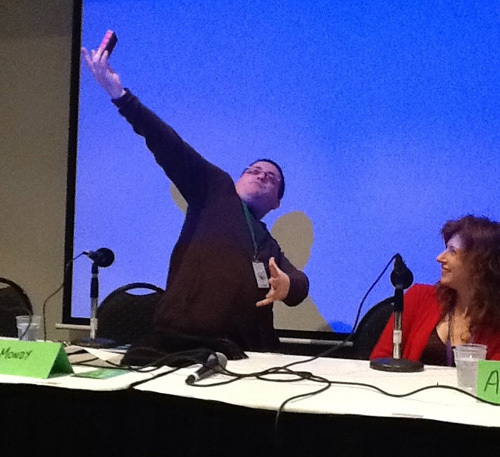 This episode of The Writer and the Critic is recorded LIVE in front of an actual audience at Continuum 8, the National SF Convention, with two very, very special guests: authors extraordinaire Alison Goodman and Kelly Link. 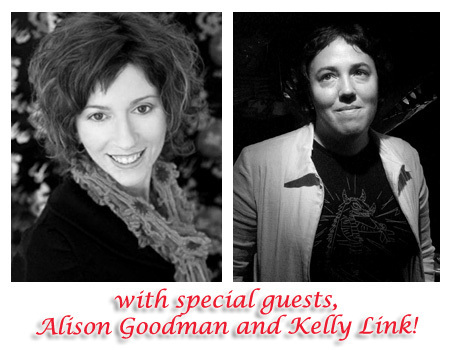 Your hosts, Kirstyn McDermott and Ian Mond, talk with Alison about her new project, a dark supernatural Regency trilogy which may or may not involve gowns, bonnets and a large bloody knife. Kelly reaffirms her love of short fiction -- recommending "The New Mother" by Lucy Clifford along the way -- while reluctantly confessing that she might be considering writing a novel of her own. Certainly, if Holly Black has anything to do with it! Because reviewing four books in a single podcast would be an act of no small madness, Kirstyn and Ian wisely decide to leave the recommendations for this month to their guests. 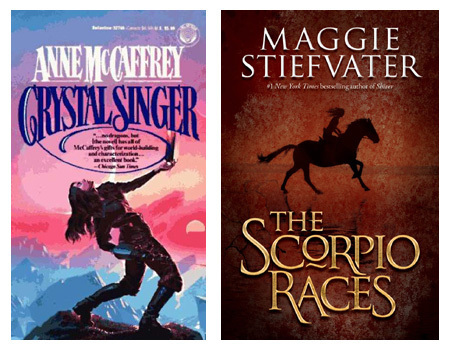 Alison has chosen The Crystal Singer by Anne McCaffrey (discussion begins at 17:50) while Kelly has brought along The Scorpio Races by Maggie Stiefvater (48:20). If you've skipped ahead to avoid spoilers, please tune back in around 1:16:50 for final remarks. Kelly would also like to make two additional recommendations that listeners might enjoy, The Hearts of Horses by Molly Gloss and the Flora Segunda series of books by Ysabeau Wilce. Next month's episode features yet another special guest, editor and fellow podcaster, Jonathan Strahan, who has recommended Galveston by Sean Stewart for Ian and Kirstyn to read. Ian has picked Akata Witch by Nnedi Okorafor while Kirstyn has chosen The Drowning Girl by Caitlin R. Kiernan. It will possibly be their longest podcast ever. 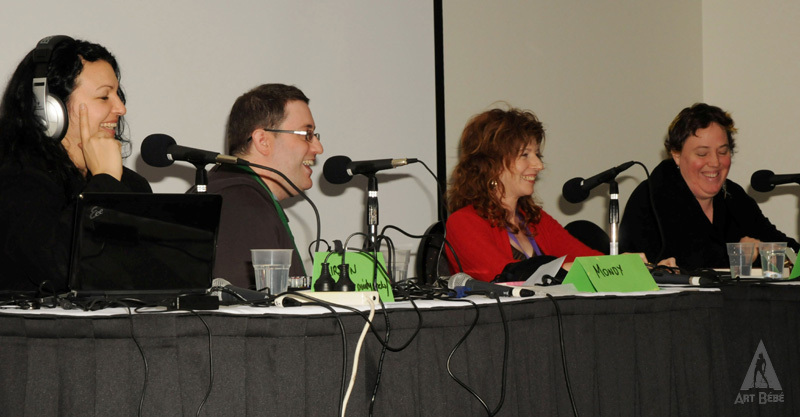 Okay, okay, it's already been recorded and, yes, it is definitely their longest podcast ever. Make sure you bring along a comfy chair! 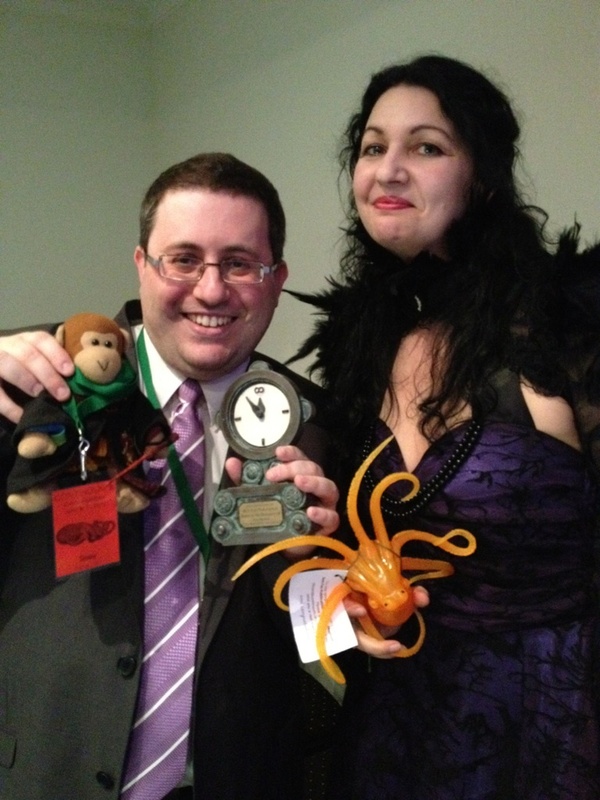 But yes, awards! Look! Proof! Plus a random monkey! Copyright © Kirstyn McDermott and Ian Mond. All rights reserved.